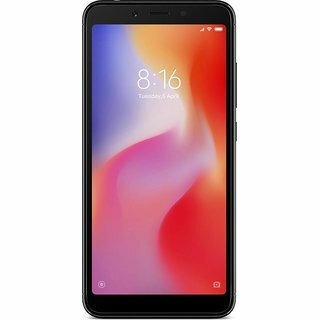 The lowest price of Redmi 6 (Black 32 GB) ( 3 GB RAM ) is at Amazon where is it is for INR 7599. This price is INR 1901 lower than the other price for the product. The prices for the product change across variants. The price for Redmi 6 (Black 32 GB) ( 3 GB RAM ) is valid across Bangalore, Hyderabad, Chennai, Mumbai, Delhi, Pune and Kolkata. 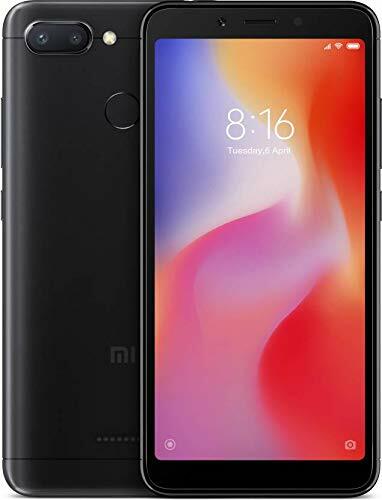 The Redmi 6 (Black 32 GB) ( 3 GB RAM ) is available at best price of INR 7599 on Amazon. Awesome Phone Received the phone before 24 hrs of order thanks Flipkart ,awesome battery backup,aswell as display,camera both rare and front are awesome aswell as the portrait mood with AI works great and capture good photograph ,face unlock works perfectly in low light also , finger print scanner is very fast, overall good budget mid range phone ,go for it..
Wow this device is Trendy in looks, way better than what the pictures on flipkart show. In hand feel is also suberb very light weight and slim. No other brand provides these awesome features in this budget range. Pure Value for money. USP of this device is its Beautiful Dual camera set up and powerful Helio P22 Al CPU and a compact form factor 5.45" HD+ display to give u a comfortable and light weight smartphone experience in just 8k money. Its 3000 mah battery gives good batter backup of full 1 day. Fingerprint scanner as well as Al based face unlock work well. Under 8K this is the best device u can get as of now.